About Product : Khadi speaks of the country's heritage.. pure & simple.. yet exquisite.. woven to bring a change.. & the patterns stiched over in fiery red speaks of a women unfazed.. wear this contemporary collection & let your thoughts standout.. The East India Company imported raw cotton from India while they dumped the local Indian market with inferior machine-made cloth. This led to a great decline in the handloom industry. 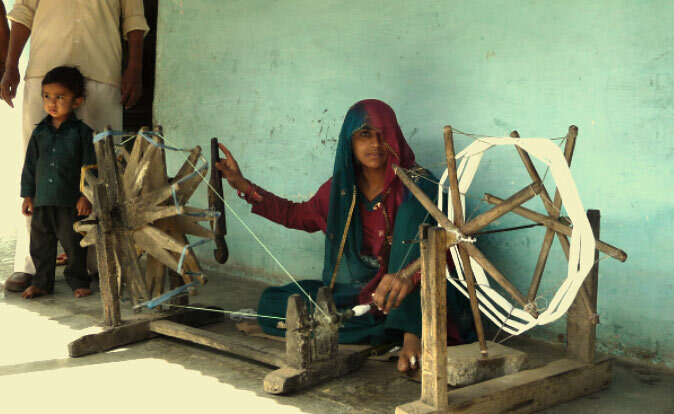 The khadi weavers were first affected with the subsequent establishment of the powerlooms in India. Imitations of the hand-woven saris and garments were dished out, making it much cheaper and severly affecting the rural scenario. During the Second World War (1939-1945) majority of the Indians turned to hand woven saris. 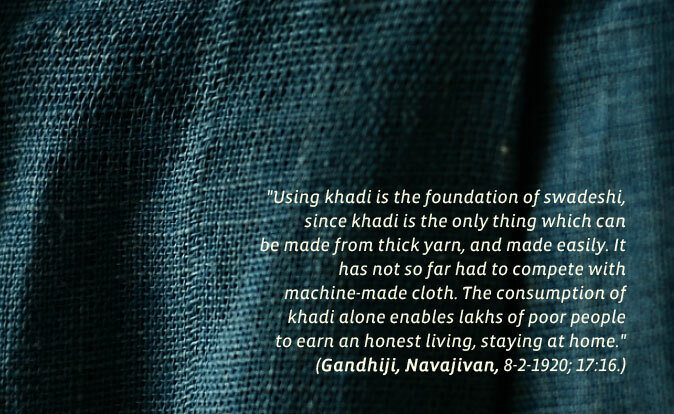 This was further supported by the Swadeshi Movement initiated by Gandhiji where women turned to hand woven khadi fabric in order to shun the English machine made fabric. 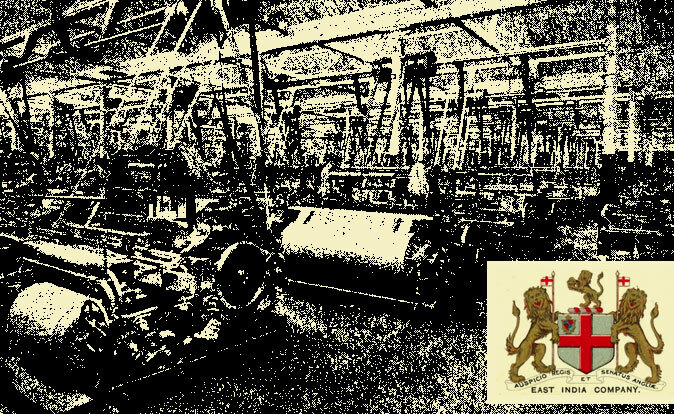 The effect of the mill spun fabric continued to affect the handloom sector even post-independence.The extent was so large that the Government of India had to ban powerlooms producing certain textiles, one such being the sari. The Government took active interest in reviving traditional saris to prevent it from extinction and provide handloom weavers with a livelihood through the Janata Scheme. The Janata scheme involved a per sari wage to the weaver and was production centric rather than quality being a concern. The idea was to make the sari as economical and production as high as possible. More number of saris implied more wages for the weaver. This however did not last long. 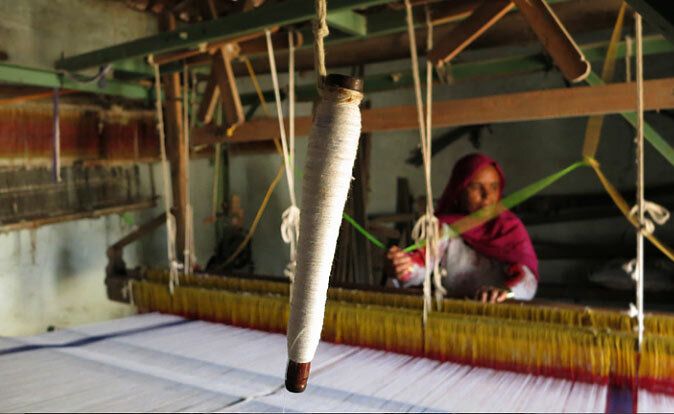 More recently, various state-run schemes are aiding the weavers. 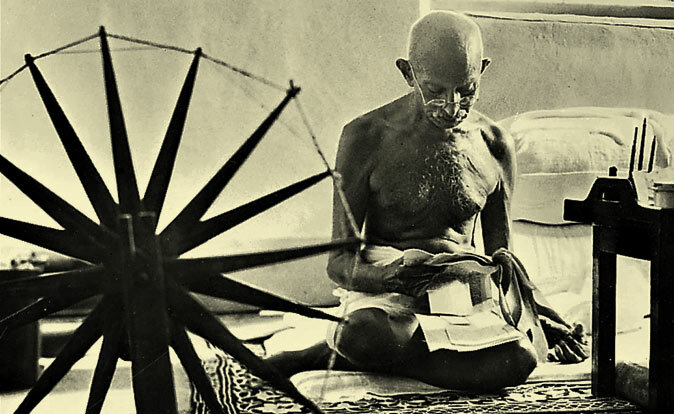 The raw materials may be cotton, silk, or wool, which are spun into threads on a spinning wheel called a charkha. Khadi is a versatile fabric, cool in summers and warm in winters. Being a natural form of material, it crumples much faster than other preparations of cotton. 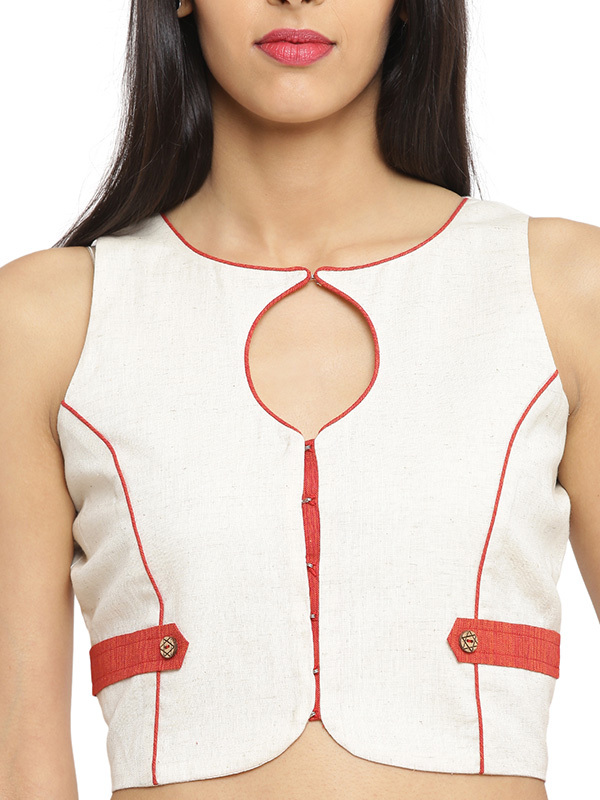 In order to improve the look, khadi is often starched to have a stiffer shape. It is widely accepted in fashion circles these days. West Bangal in India is one of the largest producers of Khadi in today's times. The yarn and the looms are sourced easily from the market. The finished products are also sold in the local as well as external markets. The businessmen in kolkata lend weavers yarn and buy finished woven fabrics from them. Shipping Dispatched order in 6-7 working days as this product is made on order. Care First wash dry clean. Product details A jacket style thin shoulders, close back, princess cut blouse.